HNB Assurance has augmented its online channel with the launch of HNBA's 'eLife' which offers convenience in obtaining a life insurance policy online and also offers an array of benefits a comprehensive life policy should have. General Manager - Life, HNB Assurance, Prasantha Fernando said, "HNB Assurance eLife is an innovative initiative from HNB Assurance designed for convenience and flexibility. We have given customers two insurance plans to select from. They can select between a policy with a higher life cover and no maturity payment for a lower premium or a policy with a maturity payment at end of the term for a higher premium." "These plans are convenient, affordable, simple, transparent, less time consuming and is for those who seek insurance cover at nominal premiums against their liabilities," he said. 'eLife' is for people between 18-60 and the product is available to all Sri Lankan citizens in Sri Lanka and abroad. General Manager, Marketing and Distribution, HNB Assurance, Lalith Fernando said, "Its principal selling point is unparalleled convenience. 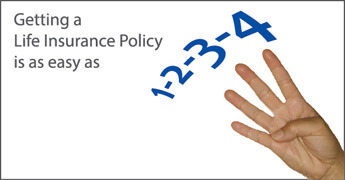 A policy holder can navigate and complete an online application in less than five minutes using four simple steps, any time of the day or night, any day of the week." "You can choose to pay by credit card via a highly secure internet payment gateway, and with eLife no medical reports are needed and can one receive his or her policy via courier within a few days. Once the insurance is bought, online policyholders can take a printout of the policy documents and receive automatic confirmation of transactions via email and SMS," he said.